Yoohoo! 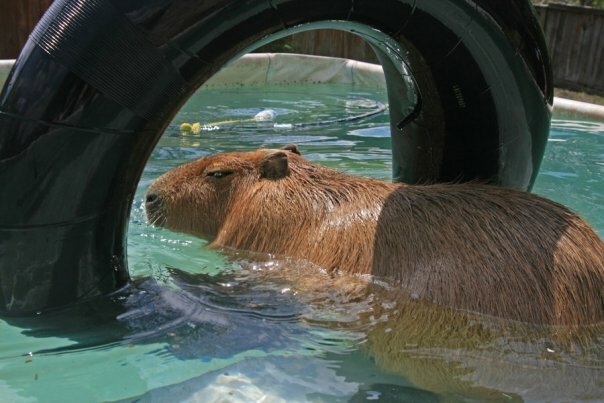 Mudskipper Rous here with another installment of the story of my life. 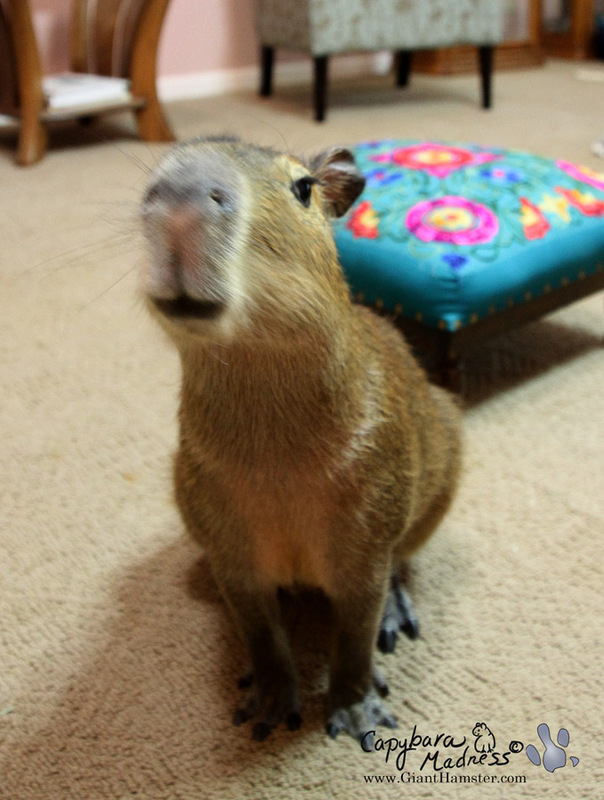 I hope you read My First Tricks where I show off the earliest tricks to be pounded into my little capy brain. In this post you will see that, sadly, it did not end there. See that colorful stool in the background of the photo above? My new tricks involve that. Oh the humiliation! But honestly, I’ll do anything for treats. It all started innocently enough when Melly asked me to come over to her. I could tell she had treats in her hand. I was hoping for Temptations, which are cat treats for Driftwood but are actually manna from heaven. It wasn’t. 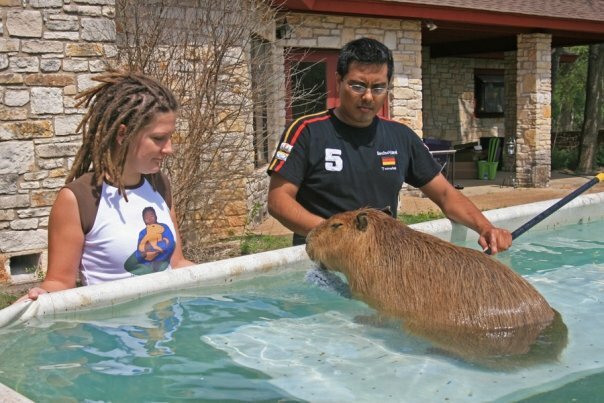 It was guinea pig treats. It’s not quite divine but it’s pretty close so I wasn’t too disappointed. I’ll take some of those! This look usually gets me some treats and it was no exception this time. But see, that darned stool is right there in the background stalking me. Okay, I did it. Where’re the treats? 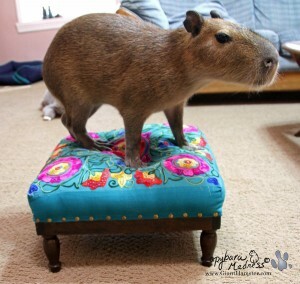 Apparently MelT got this stool for Garibaldi but he would never get on it. I think Gari was much bigger than I am and even I felt a little nervous up there. 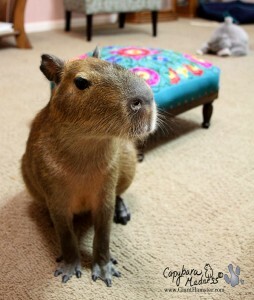 It’s so small that even a baby capybara could fall off. Though I have to admit it’s not very tall so probably I wouldn’t get hurt. You’d think getting up there would be a good enough trick. That’s sure what I thought! But no, there’s a lot more to it. You’ll have to watch the video to find out. All of my tricks in one short 3.5 minute video. Wow, you know a lot of trick for such a youngster! We kittehz are impressed! 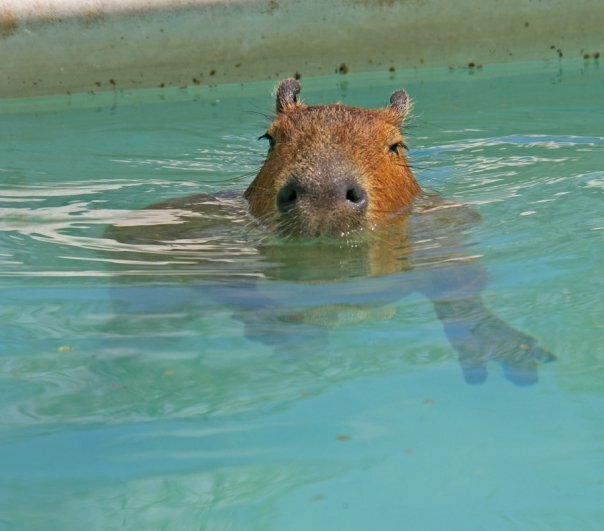 I just love that little fella! Oh my goodness! 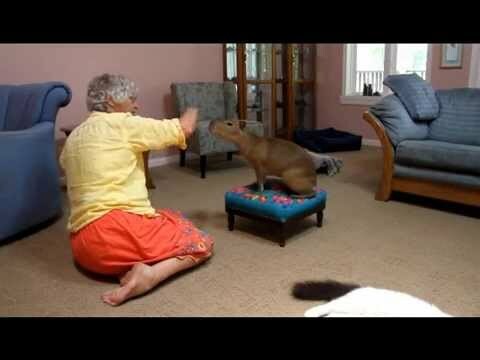 I think you know about as many tricks as my dog, and you’re much better at performing them. I will show her your video and see if I can get her to feel a bit ashamed. She is supposed to be better at this kind of thing, you know. 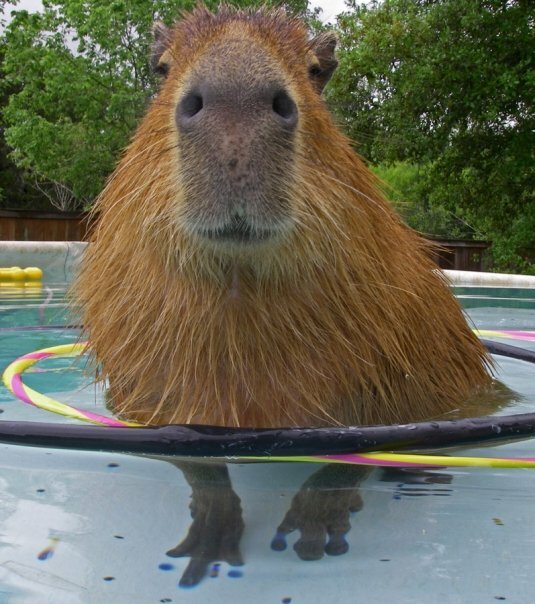 But you are a very clever capy. Love your hair, Melanie! Very cute cut. 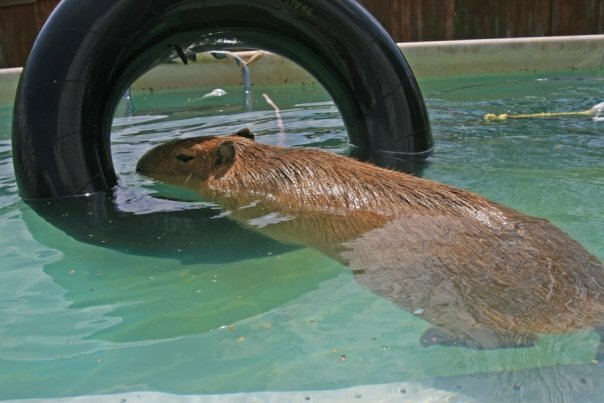 Mudskiiper is looking great. Soon he’ll be going though his whole repertoire randomly just to get treats. You’re so talented, Muddy, and obviously very smart! And you are, as always, adorable! Oh, what a talented young capi you are, Muddy! Looks like your cat pal is no slouch at making himself available for treats, too — you should team up and take your act on the road! That was really impressive Muddy, especially when you had Drifty as a distraction! You are such a cutie! Looking forward to seeing more of you! Wow!!!! Awesome videos, and your still life photos are awesome too. You know I will watch them. Do you have any idea how cute you are??? MeLt isn’t bad either. 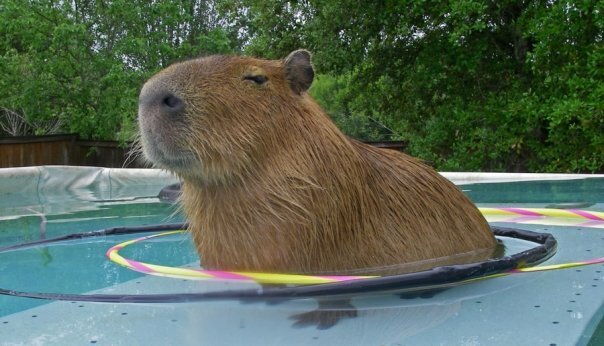 You are a lucky Capy to have such a wonderful life. 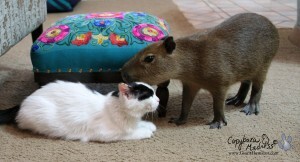 Hugs and kisses going out to you and co-pets. I am really impressed that you could do all that balancing on a soft squishy surface, that was a trick all by itself. You deserved all those excellent treats. I look forward to all your videos and pictures, your little feet are adorable! That Driftwood sure does like attention… what kind of tricks do cats do? 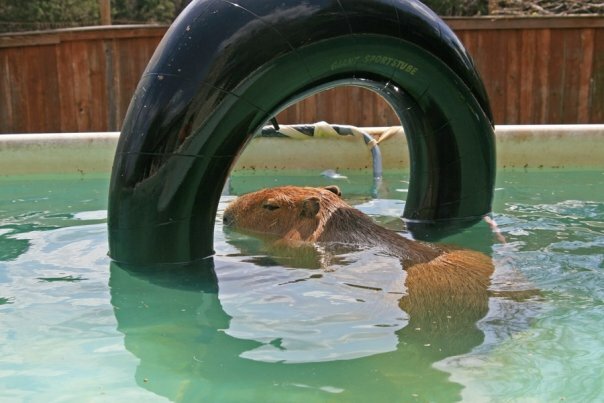 What a clever Capybara! 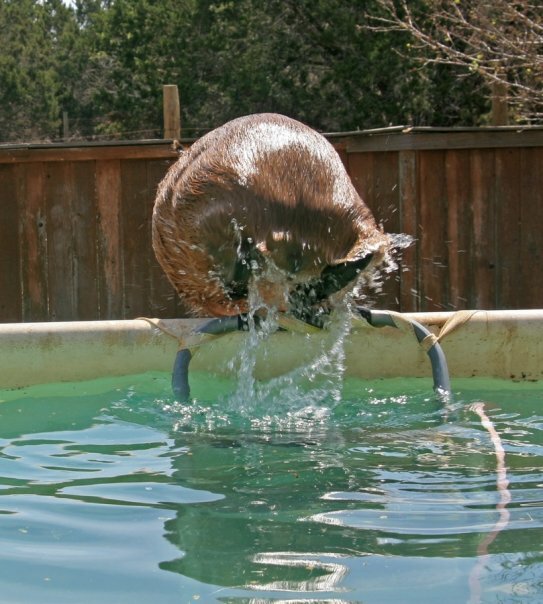 Muddy, I admire your cleverness and cuteness!